I understand how hard it is to be a "single mother" . My husband died leaving me a 5 and 6 year old to raise alone. The author made some pretty bad decisions in her life. I find it hard to believe Washington state was so horrible. She clearly went to Montana to get her life on track. 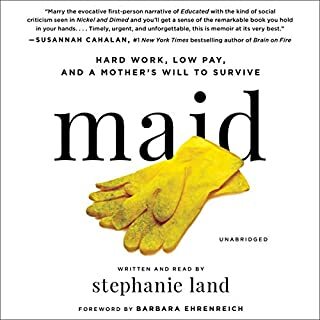 The book left me wondering if she was really such a wonderful mother and since she chose to be a single mother, she chose to be a single mother. What did she think her life was going to be like? Her daughter needed a mother, not a buddy. It sounded like she was never sure about that role. Having lived in the Pacific northwest, I don't imagine Montana as a "destination" for happiness. I expected this book to have a little information about Alcoholics anonymous. That's ALL the book is about! 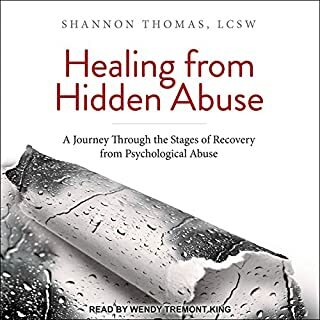 One of the problems with "rehab" is every other treatment program is based on the AA model. There has to be more choice for people who clearly are not interested in "The 12 Steps or A higher power". 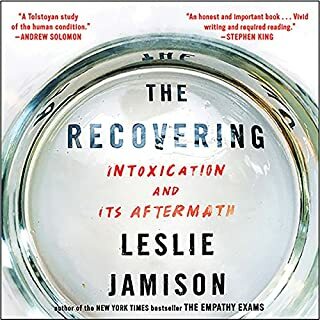 Had the author studied the Big Book, she would know it was written in the 1930's, there was NO Treatment other than getting the alcoholic through the detox without killing him due to DT's. The book was written by 2 men. It was never meant for women, non-christians, and non-whites. There are alternative treatments but no one hears about them because AA has monopolized treatment plans. This is why so many people relapse. They aren't white-Anglosaxon protestants. 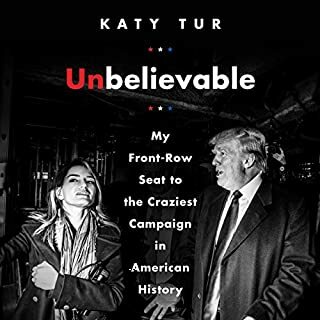 Would you ever listen to anything by Katy Tur again? Not if she reads it. Would you be willing to try another one of Katy Tur’s performances? I agree with the reviewer who thought it was too much about "Katy". It could have been such a great book but this isn't . You can't diagnose an entire GENERATION! Would you try another book from Bruce Cannon Gibney and/or Wayne Pyle? No, THIS is the first book I refused to waste my time finishing. Has A Generation of Sociopaths turned you off from other books in this genre? Would you be willing to try another one of Wayne Pyle’s performances? This book made me very sad. To "diagnose" an entire generation is too broad a brush. Does he understand the definition of a sociopath?Based on his description of himself, he clearly has never had to sacrifice a thing in life.I am a retired nurse who married a young physician in the 1970's.After working nights to put myself through nursing school, my husband and I put off starting our careers to work with the poor in the rural South. My husband's brother had already been killed in Viet Nam when we volunteered to work with the poor. Our patients didn't have to worry about the ACA because we provided healthcare for free.My husband died suddenly in the 1980's, leaving me to raise our children alone. I saved enough money to put both of my children through college and grad school, by working more than one job. I have 6 siblings as did my husband. We all struggled to pay for college. Neither of our parents had time for Dr. Spock. I didn't want my children to struggle to pay for college as I had done.During the Great Recession in 2008, I lost over half of my retirement savings. I didn't do it! THE BANKS MISMANAGED OUR RETIREMENT FUNDS! Friends lost their homes because they had second mortgages to pay for THEIR CHILDREN to attend college- not because they wanted another bathroom. We have watched OUR HEALTHCARE get too expensive to maintain. As far as baby boomers causing obesity, we aren't the people too fat to fly.I'm sorry Bernie Sanders wasn't the Democratic nominee. We all are going to suffer because Hillary and Trump are both "sociopaths" who put their needs ahead of what would be best for this country.Paul Ryan dragged Ayn Rand's philosophy out of the dust bin of history - he's not a boomer.We didn't invent divorce. We didn't invent sexual promiscuity. Rowe vs. Wade was the law of the land long before boomers were old enough to have any influence. The author watched too many "Leave it to Beaver" reruns and mistook them for reality TV. Reality TV was a "GEN X" invention. 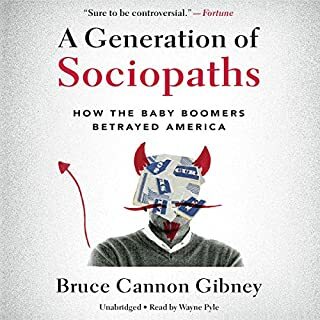 It truly makes me very sad to think my generation is going to be blamed for ALL THE BAD in the world.It's time for the author to grow up and see if his generation can do any better!Did the author do any research or is this just his opinion? I agree the government has all but shut down. They need to turn off the lights and go home until they are ready to work for the American people. Congress is made up of many generations and they have all failed miserably. Health care is a mess and the economy will crash again. We are out here trying to fix what we can at the local level but starting a "generation gap" is not going to help anyone!I would recommend readers to not waste time or money on this book. 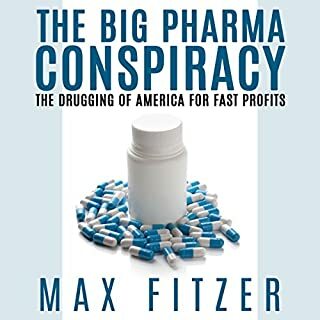 In his audiobook entitled The Big Pharma Conspiracy: The Drugging of America for Fast Profits author Max Fitzer will take you through the history of the largest companies, discussing the impact they have on society, our youth, disease, and the global economy. Not only will you have an extensive understanding of who the players are, but you will also learn how to contribute to the effort to bring them under control. Would you try another book from Max Fitzer and/or Jennifer Howe? What was most disappointing about Max Fitzer’s story? There is a glaring inaccuracy so big that I don't think I can take anything in this book as fact. I am a health care professional with a Type 1 diabetic child. There is NO LIFE STYLE BEHAVIOR or CURE for Type 1 diabetics. "Big Pharma" does not have a PILL and to say it can be cured with changes in lifestyle in a five year old child is not only wrong but cruel to both the child and the parents.I know the pharmaceutical companies do BAD THINGS but to include Type 1 diabetes is too big an error to overlook. Audible should correct this before selling one more copy of this book. What does Jennifer Howe bring to the story that you wouldn’t experience if you just read the book? What character would you cut from The Big Pharma Conspiracy?